How do you put yourself in plain view, yet stand miles above your competition? How do you ensure everyday people see your brand without spending tens of thousands of dollars on advertising? Answer: You let your guerilla marketing street team go rogue! Think about all the places you'd put your company's name if you could … Just. Get. Permission. Perhaps a healthy disregard for the powers that be would do the trick?! We’re glad you asked! Street team marketing companies put on their superhero branding capes and storm the streets in ways that are unexpected, enlightening and maybe a little weird. These caped (or T-shirt-wearing) crusaders take to public thoroughfares, meeting the people who could ultimately become your customers. Every person on your street team is an ambassador of your brand. While we’re on the streets, we work for your company. Our goal is to shake hands with everyday consumers, tell them how awesome you are, star in a few selfies, and bring your business to a whole new level of social shareability. We operate in busy places, stopping the hustle and bustle of the city just long enough to make people want to know more about your brand. Thanks to our face-to-face, firsthand interactions with your consumers, they'll walk away feeling like they already know you. That's where brand loyalty begins. How Does GoGORILLA Media Get Its Street Team Advertising On? It's all about hiding in plain sight. Well, sort of. You see, we really don't hide, but we certainly are in plain sight. We find the busiest intersections, the most bustling bus terminals, the grandest go-to spots. And then, we set up shop. Sidewalk media. Whether we’re working with 3-D sidewalk decals or simply painting some incredible stencils, we'll make sure your foot traffic attention is on point. Projection media. Barren walls never looked so good! Video trucks. Large, bright video trucks make massive impressions on urban audiences. Small format street posters. A little bit of real estate goes a long way with properly placed posters. 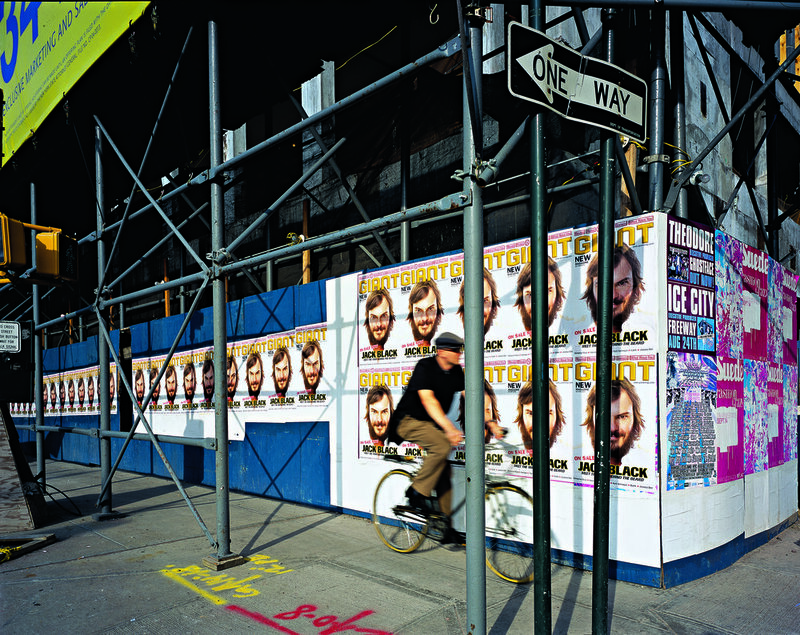 Large format street posters. Grab the attention of passersby with posters placed in obvious places. Door media. Door mats and door hangers can't find homes by themselves! Our street team will put this marketing collateral in the right places. Car media. From air fresheners to decals, we’re ready to blow away your competition. Wildstickers. When GoGORILLA is in the wild, our presence will make people pay attention ... and talk about what you do! What Makes GoGORILLA Media Better Than the Other Guys? We’re unapologetically awesome at what we do. We’re your guerilla marketing street team, complete with creative folks who have the gall to tell your consumers why they should love you. We’re on our feet, hitting our beats, and going to bat for your brand. We’re a fearless crew that doesn’t back down from any marketing showdown. We have the energy, excitement and experience to prove what we say! Are you ready to see how GoGORILLA Media can capture the attention of your audience? Our street team marketing pros are standing by. Let our street team marketing pros go rogue with their creative ideas. Reach out to us today!